Home Nearshoring What can Cuba and the US offer each other? After a trade embargo that lasted more than 50 years, the United States has finally decided to bolster diplomatic relations between itself and Cuba. While it's easy to say the trade possibilities are "endless," that isn't necessarily the case - IndustryWeek noted that the U.S. intends to enforce regulations that will "keep trade and investment relations under tight controls." That being said, procurement management firms aren't writing off the possibility of sourcing raw or finished materials from the Caribbean nation. Investment and trade will largely be dictated by what Cuba can offer the U.S., and vice versa. While governmental involvement can't be ignored, the key to the economic success of both nations will depend on whether business experts from both nations agree that establishing relationships with one another will be profitable on a long-term basis. 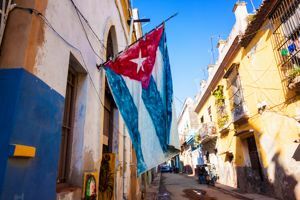 According to IndustryWeek, stringent regulations will likely prevent any serious collaboration among U.S. and Cuban oil, hospitality and automotive enterprises. Lately, the latter contingency has been initiating efforts to establish relationships with Latin American production firms to benefit from low-cost manufacturing - a practice known as nearshoring. However, it appears the U.S. automotive industry will not have a presence in Cuba, at least for the foreseeable future. A complete dissolution of the embargo didn't occur for a number of reasons, one of them likely being a general air of apprehension between U.S. and Cuban professionals. Typically, when trade between two previously contentious nations opens without any restrictions, the criminal class exploits opportunities in protection, smuggling and other underground activities. Still, the investment opportunity in Cuba is estimated between $5 billion and $10 billion if the regulations imposed by the U.S. are completely abolished, according to Gary Hufbauer, a member of the Peterson Institute for International Economics' senior research staff. He assured Agence France-Presse that the tension as a result of the embargo is sure to relax as time progresses and profitable relations become established. "This is only the beginning of a long path to normalization," said Hufbauer, as quoted by the source. "For the most part, U.S. firms are still blocked, not only by U.S. sanctions, but also by the heavy hand of the state in Cuba." An official statement from the White House maintained the accord will allow Cuban citizens to gain access to "lower-priced goods," which the administration asserts will improve the standard of living within Cuba. In addition, U.S. banks will be able to orchestrate accounts with Cuban financial firms, which will simplify money transfers and make it easier for Cuban citizens to use U.S. debit and credit cards. The telecommunications sector is expected to receive a significant boost as well. The White House stated that U.S. telecom companies are allowed to begin constructing assets in Cuba for both telephone and Internet services. From there, it's up to Congress to decide how much of the 50-year embargo should be lifted. Can Cuba sustain an industrial sector? As of now, the Cuban manufacturing economy has been rather lackluster, but this is likely because it has failed to receive investment from foreign enterprises - a factor that won't change until major revisions to U.S. regulations are made. Soviet-era technology and equipment cannot compete with modern implementations. Re-investment in the manufacturing economy's assets wasn't prevalent before 1989, and collapsed with the demise of the Soviet Union. In some ways, the U.S. may be the answer to these problems.